Nestle has teamed up with the Sanriku Railway to enable train travellers to use Kit Kat wrappers as tickets. The move comes as part of a scheme to rejuvenate tourism in a part of the country devastated by the earthquake and tsunami three years ago. People using the Sanriku Railway network can buy the special packs of Kit Kat at a lower price than a standard ticket. It is the first time a Japanese rail company has allowed chocolate bar packaging to be used as a valid travel pass. 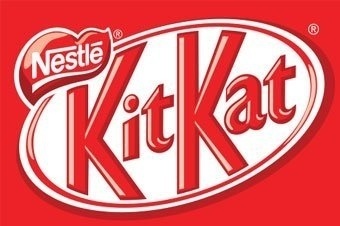 Nestle claims Kit Kat is quite widely gifted between Japanese citizens as a "message of good luck because the brand's name is similar to the Japanese phrase "Kitto-Katsu", which translates as "you will surely win". Following the tsunami, the rebuild team received Kit Kat products from fellow citizens "as a form of encouragement". Nestle then started working with the Sanriku railway, donating 20 yen per bar to the rebuilding project. Kit Kat also decorated two trains and two train stations with paintings of cherry blossoms - symbols of hope in Japanese culture. Nestle has carried out a host of interesting activities with Kit Kat in the country, claiming it is "close to being a cult product" there. At the beginning of the year, it opened a retail "boutique" which stocked exclusive varieties of Kit Kat, including chocolate containing green tea. In March, it unveiled its first mini Kit Kat that could be baked.